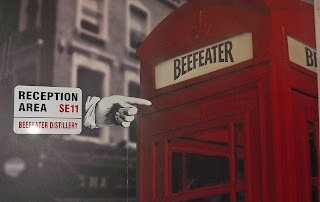 My first full day in London was a gin lover’s dream, as I tasted my way around the world of Beefeater, as only a “super taster” should. I was up early and greeted the day with some yoga and my typical European breakfast – pan au chocolate, fruit, yogurt, and English Breakfast tea. 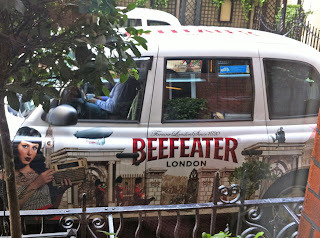 I needed to make sure I was ready for a day filled with everything Beefeater. 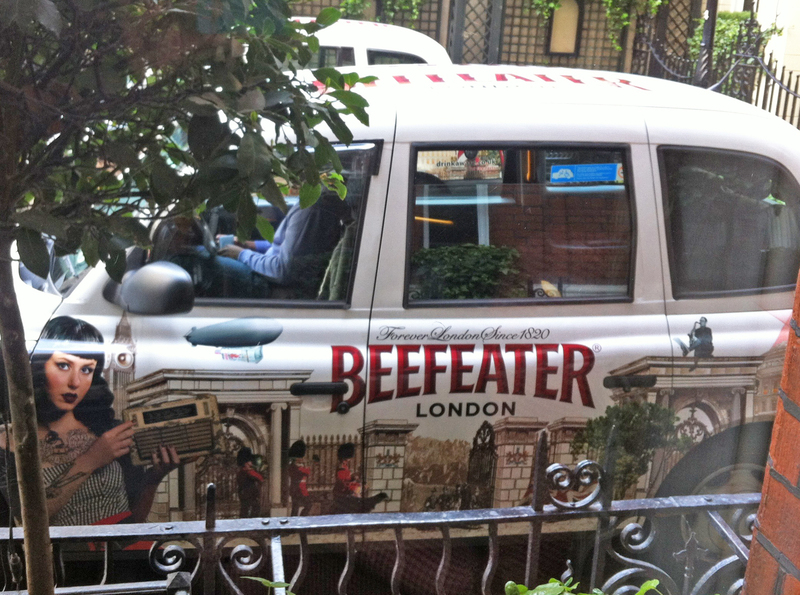 We were picked up in the official Beefeater cars and took a short drive to the distillery. We were greeted by Master Distiller Desmond Payne, as well as Beefeater Ambassadors – mixologists extraordinaire – Sebastian (Seb) Hamilton-Mudge and Tim Jones. The latter two had “snappers” waiting for us, a red that was basically a bloody Mary with gin (using sundried tomato paste for a very fresh flavor); green, with pineapple juice, coriander, mint, green tabasco sauce and lime juice; and purple, with beet, orange, carrot and lemon juice. They were all good, with a slight favor for me to the green. 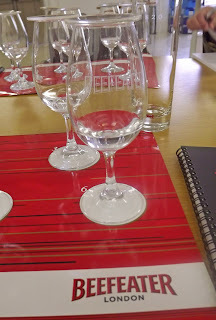 We talked about the different gins that Desmond had worked on for Beefeater: 24, full of citrus; Summer, with hibiscus and black currant for a floral flavor; Winter, spicy with cinnamon and nutmeg; and London Market, blended with pomegranate and cardamom. 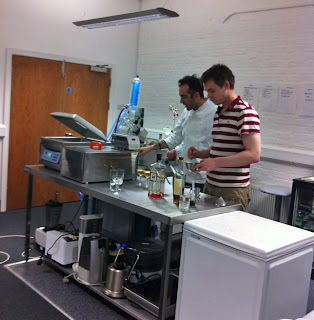 The point was well taken that you can use just about anything in gin, as long as there is also juniper. 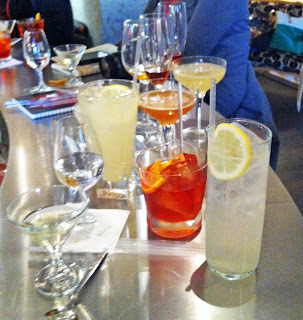 Before having more Beefeater Gin cocktails, we tasted some other gin brands (like Hendricks, which adds cucumber and rose petal) to see just how different gins can be. Then we walked into the warehouse where the smell of juniper permeated the air. There are also other ingredients here, and they make sure they get the finest of everything: juniper comes from Italy; the angelica root and seed from Belgium; the coriander is from Bulgaria; the liquorice is Chinese; almonds are imported from Spain, as are the lemon and orange peels. We were soon back at the bar tasting a selection of Beefeater cocktails with everything from green tea to Lillet Blanc. It was fun watching (and sampling) the creativity of Seb and Tim before it was time to head out and take a short break prior to our next outing. 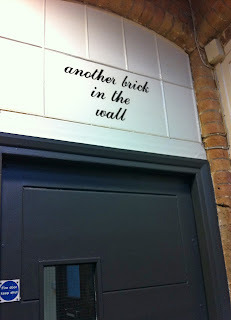 There were so many interesting aspects of the Drink Factory, where Tony Conigliaro creates some of the magic that has earned his reputation as one of the greatest mixers in London. 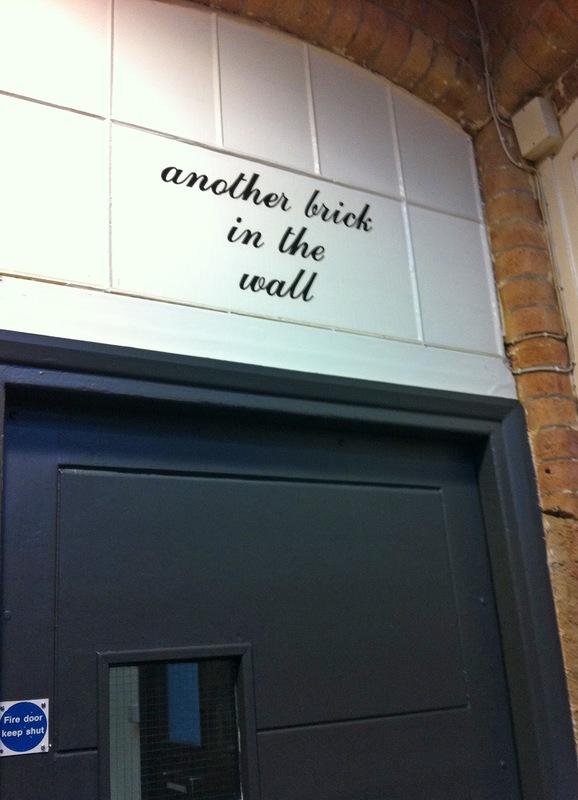 The space also happens to be located in a building that (is owned by and) houses a Pink Floyd recording studio, where the infamous The Wall album was produced so that added some nostalgia. Tony C. led us through a molecular cocktail class in his laboratory filled with herbs and spirits (he also makes perfumes here). It reminded me a lot of my father’s laboratory, which I used to visit when I was a child. He made us a delicious Walnut Martini with woodland bitters, Beefeater 24 and pua tea. We also got a preview into the Fig Leaf Collins and Truffle Martinis he was working on. 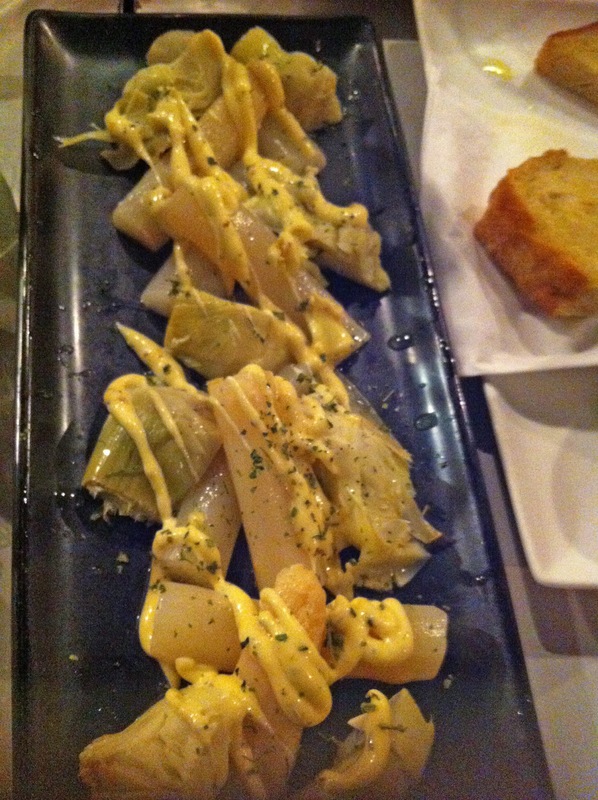 Dinner was at Pinchito Tapas, an East London hotspot where we enjoyed a selection of tapas. While a lot of the offerings were fish, owner Tobias did make me some vegetable and meat dishes to enjoy with my Beefeater and tonic. I hadn't been to the Tower of London since I was a kid, and never at night, so it was a unique experience to be there for the Ceremony of the Keys. We happened to be with a group of British dignitaries, so it was even more special. 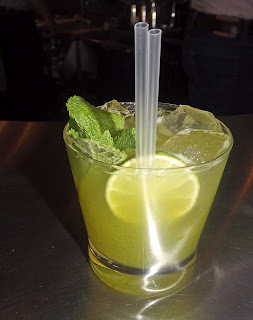 We finished the evening with some nightcaps at Callooh Calley, a fun and unusual spot downtown, where the menus are made in old cassette tape holders. I had a Jasmine Fizz and settled back for a bit before returning with the group to the Dukes Hotel.